Do you understand information architecture, but work with (or on a team) that does not? Collaborative Information Architecture, by Abby Covert, explains how to communicate your role as an information architect so that projects get done. Learn strategies for creating a collaborative working environment where IA and UX design can thrive. 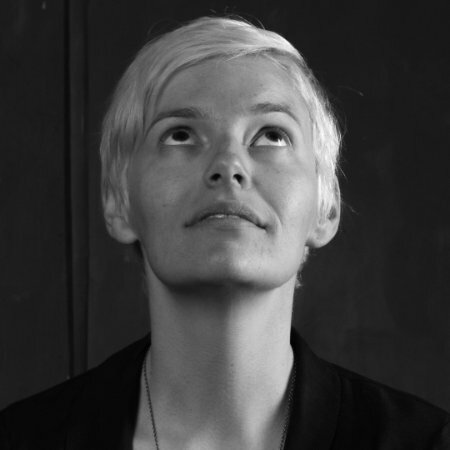 Abby Covert is the president of the Information Architecture Institute, a non-profit devoted to promoting the field of information architecture. She has created user-centric websites for a wide range of businesses, including Draft FCB, Nike, and the International House of Pancakes. She is also the inventor of World Information Architecture Day. When a designer is tasked with creating a new information architecture system, there are many roadblocks that they might find themselves facing. The conversation with their clients might have completely broken down. They might have a lot of legacy content and dislike the idea of creating a hierarchy between it all. People might have different ideas about how to structure the site and prioritize different content. The information architect will be responsible for getting everyone on the same page. This course will help students learn how to communicate the ideas of information architecture, and will help them collaborate with their clients to create great and easily navigable sites. Collaborative Information Architecture focuses on three primary topics. The first topic explains the need for a collaborative environment. When designing a new site for an existing organization, or redesigning an existing website, architects need to first establish common ground regarding structure and language. In this talk, students learn how to collaborate with generalists and specialists within a corporation. They also learn how to work within a wide range of environments, including as part of a company merger or acquisition. The second topic focuses on collaborative facilitation techniques. It’s always difficult to work with a team, especially when that team only has shallow knowledge about what you do. However, information architects are regularly put in this position. This course will help students learn how to facilitate conversations, respectfully educate people about IA, and identify problem areas in language. They’ll learn a step-by-step process for working collaboratively within a large organization with many constituents. The third topic teaches viewers how to build a UX toolbox with new diagrams and techniques. Wireframes and sitemaps aren’t always sufficient for visualizing the structure of a site. This course introduces students to ten new diagrams that communicate subject matter visually in a way that non-experts can understand. They will also learn how to develop an information architecture vocabulary as part of a team. Collaboration is crucial for creating a structure that will get buy-in from the entire organization. If a designer comes in as a consultant and just creates the site that they know will work, they could receive a lot of pushback. When they instead listen to insiders about their pain points and their goals for the site and work together to create a system that will work for them on a daily basis, they’ll see much more success with just a little more effort on the front end. This course is excellent for anyone who is looking for techniques to collaborate on language and structure, including information architects, user experience professionals, and product managers. In just 85-minutes, students gain concrete skills in collaboration that they can use every time they are working on a major information architecture project. In this essential talk, Abby Covert details how to explain information architecture to those involved with the creation of digital projects. For many information architects, this process is the most frustrating portion of the job. This discussion teaches creators how to communicate their role so that they have a better chance at fulfilling their function.